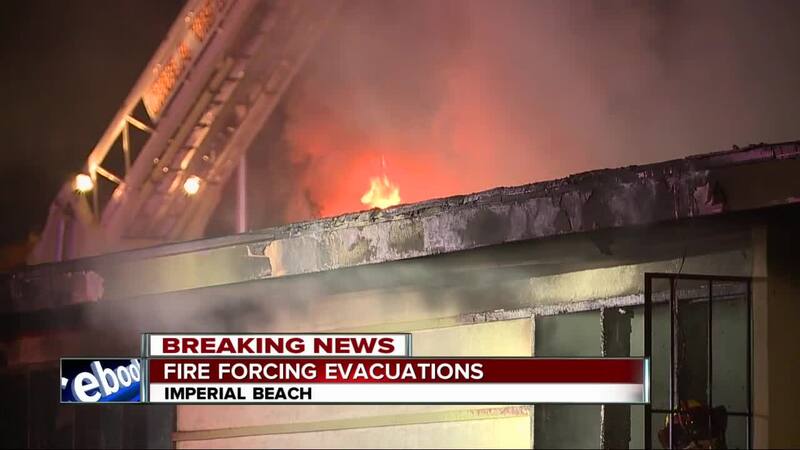 Residents at an apartment complex in Imperial Beach rushed to evacuate their homes as a fire erupted. 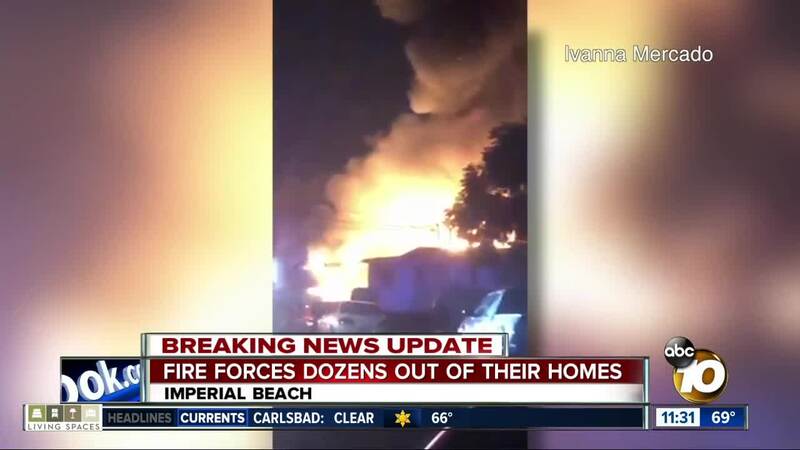 IMPERIAL BEACH, Calif, (KGTV) - Forty people – including 10 children -- were displaced and a sheriff’s deputy suffered a minor injury early Wednesday morning after a fire ripped through at least four units at an Imperial Beach duplex. According to San Diego County sheriff’s officials, deputies received reports of a propane tank on fire at a complex in the 1200 block of Iris Avenue just before 4 a.m.
Deputies arrived to find the fire had spread to a unit in the six-unit complex. Evacuations were ordered after deputies were unable to put out the fire with extinguishers. 10News learned a woman noticed the blaze and alerted her family and other neighbors. All occupants, including several with disabilities and confined to wheelchairs, were able to flee to safety. A deputy who was assisting in the rescue effort suffered a minor burn to his arm, but officials told 10News he is expected to be OK. Firefighters from the San Diego Fire-Rescue Department, Imperial Beach Fire Department, Chula Vista Fire Department, National City Fire Department and Coronado Fire Department worked together to put out the fire before it spread further. The official cause of the fire is being investigated by fire officials and the sheriff’s Bomb Arson Unit. Officials said four units were destroyed in the blaze. The displaced residents will receive assistance from the Red Cross, 10News learned.